Spring is upon us, and soon high school seniors will be graduating and finalizing decisions for their next step in life. 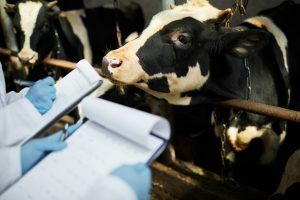 Those who are considering the Dairy Science program at the University of Wisconsin –Madison have an opportunity to learn more during the Dairy Science Spring Visit Day. Ted Halbach, a faculty associate in the department explains why this day is important. Even if students have attended the general campus tour Halbach recommends coming on April 5th. Students have opportunities to hear form current and former students as well as staff. Not only do they get to learn about the Dairy Science department, but they have the chance to learn about admissions, scholarships, and financial aid. The degree program is a great opportunity for those who want to go back to the farm, but also has the ability to give applied science experience to those interested in other science fields. If interested in the Spring Visit day, contact the department at 608 263 3308, or visit the department website at dysci.wisc.edu.